Airports always tend to produce emotional, funny or curious images. Especially when it comes to Barça fans waiting for the players, before returning to Barcelona after a match. One of the most memorable images came two seasons ago, when Leo Messi signed autographs for two children dressed in Barça garb at Glasgow airport. In Valencia, and again with Messi as the protagonist, the situation was different, but no less curious. 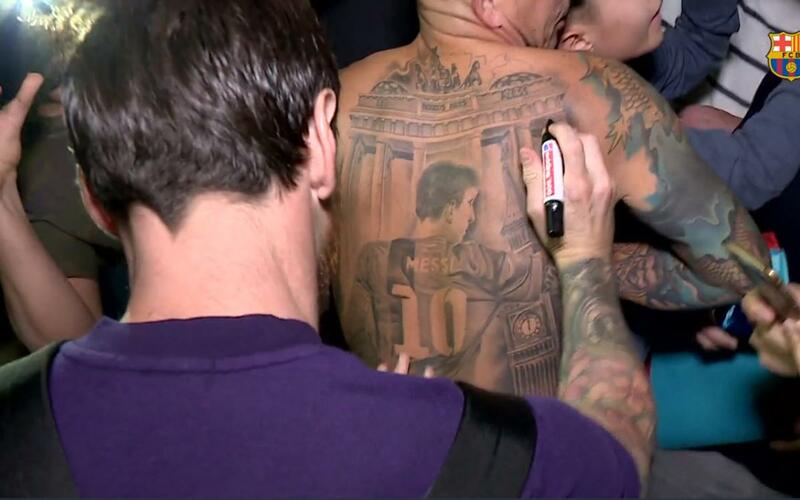 The Argentine, who had scored the tying goal in Barça's 1-1 draw at Valencia, was signing autographs when he suddenly saw a picture of himself tattooed on the back of a fan. Messi, however, wasn't the only player signing autographs at the airport. Ter Stegen, who stopped in front of a young fan and handed her a shirt, also took part, posing for photographs and signing several autographs.